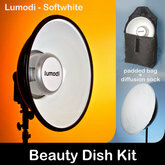 The Lumodi 14" HD Beauty Dish has all the robustness of the 18" HD Beauty Dish but in more portable package. 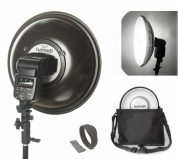 Discounts ON OUR MOST POPULAR BEAUTY DISH KITS! Designed for portability and easy of use in the field. Designed for an ideal balance of size and easy of use. 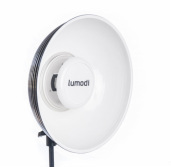 Designed for maximum coverage and heavy duty durabilty.